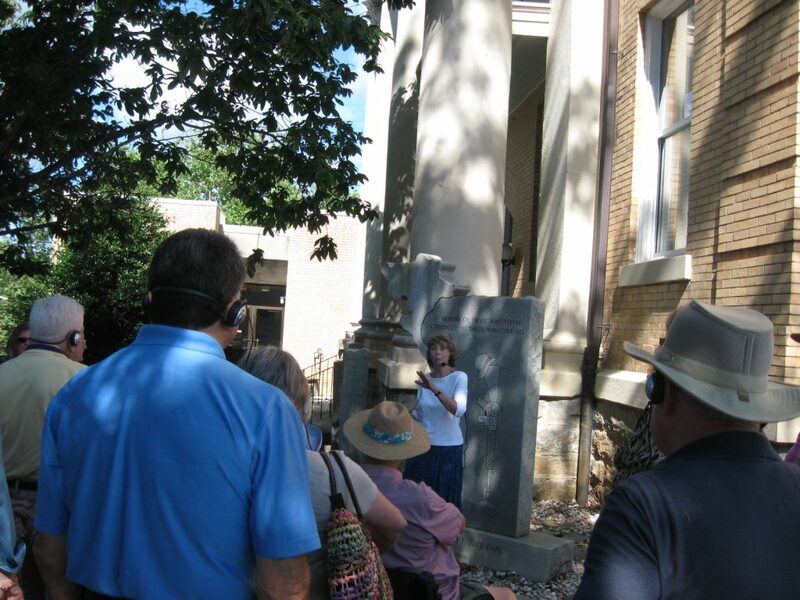 Take a 90-minute tour of Historic Main Street to learn about Hendersonville’s history and architecture and hear fascinating stories. See the Look Homeward Angel grave marker, the subject of Thomas Wolfe’s novel of the same name, and hear stories about former Hendersonville residents while strolling thru Oakdale Cemetery, Hendersonville’s public cemetery. Meet: at the Cemetery, U.S. 64 W. at Valley St.
Join me along the pathways of Hendersonville’s Historic Oakdale Cemetery where the famous “Look Homeward Angel” statue is located. Grave markers can tell interesting stories and whisper secrets … so come along to discover Hendersonville’s buried past. Ages 10 and over. Children under 10 yrs. free with paying adult. Schedule private tours anytime by appt. for your group of 8 or more. * Groups of 8 or more may arrange for a private guided walking tour any time. Your church group, school, tour group, family reunion, history club, out-of-town guests, etc. Phone Mary Jo at 828-545-3179 to schedule a date and time, or email me from the website.